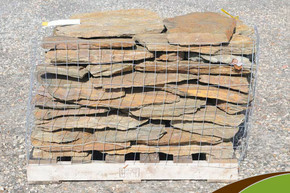 Used for patios, stepping stones & walkways. 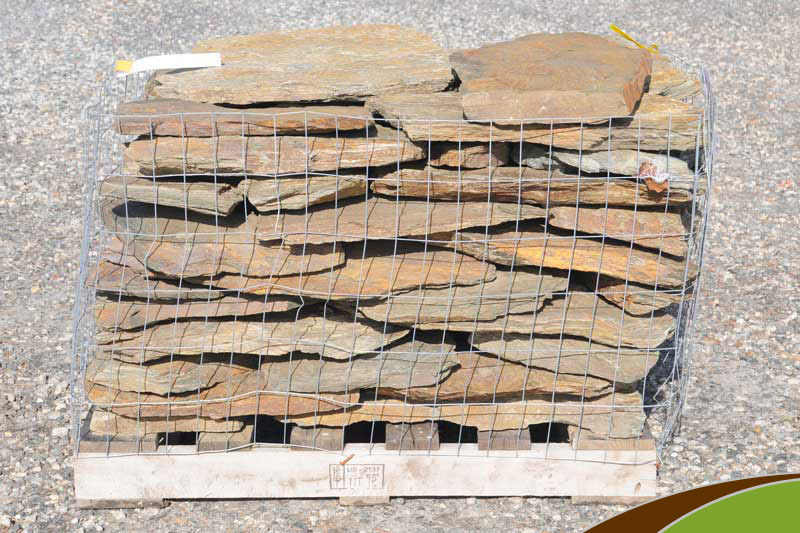 1 pallet covers approximately 100 - 120 square feet. 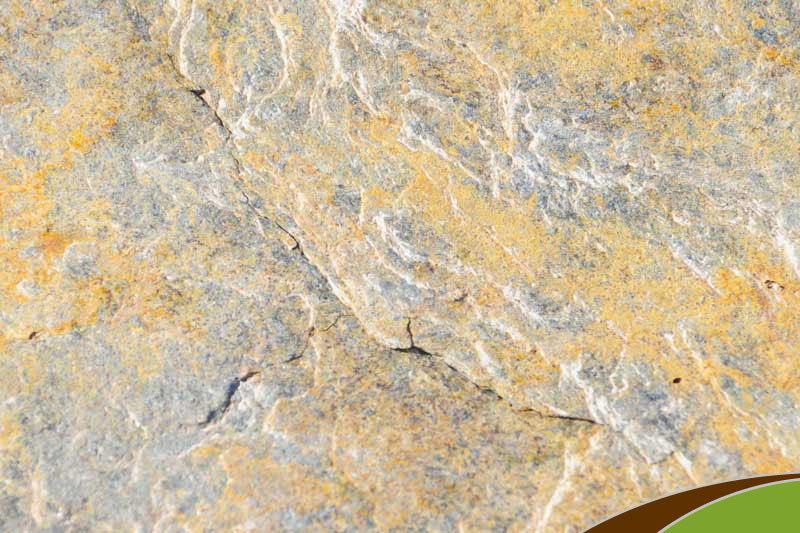 A brown stone with shades of purple and a tint of green. 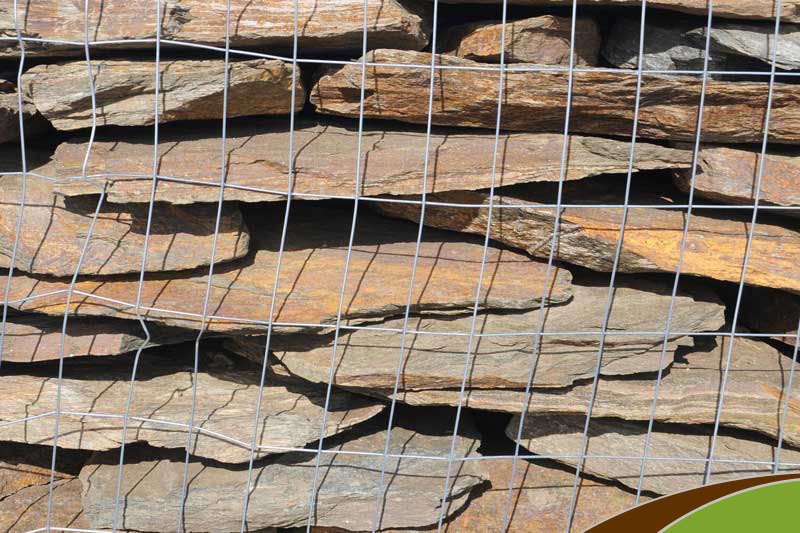 This stone is very rough in texture with a rustic appearance.